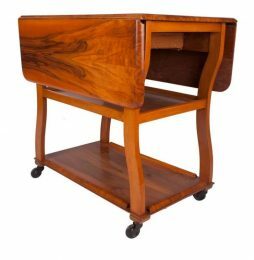 Antique Trolley | Interior Boutiques – Antiques for sale and mid century modern furniture, french furniture, antique lighting, retro furniture and danish furniture. 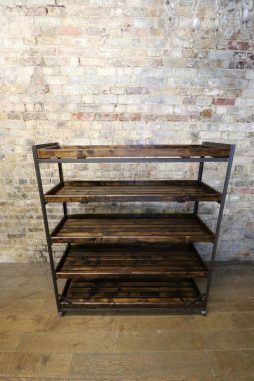 Designer/ made by :Condition Report : Excellent. 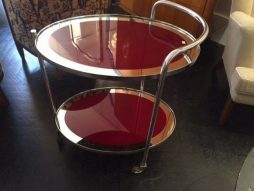 Art Deco French Oval Maroon Chrome and Glass Trolley. 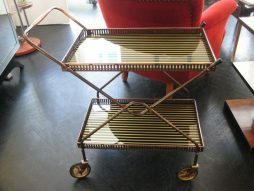 A most unusual copper drinks trolley with black and gold striped glass shelves and wooden handles.A very elegant piece in excellent condition. 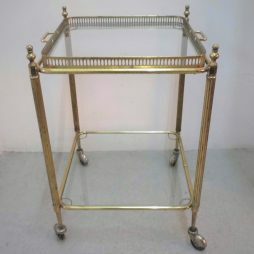 An attractive mid century brass two tier trolley . 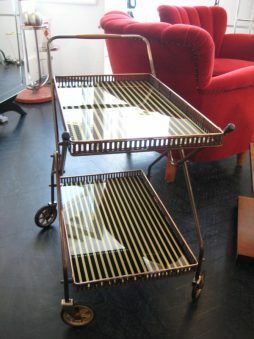 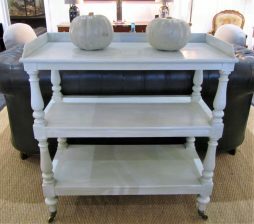 The lift out tray top has a pierced gallery and it sits on reeded legs . 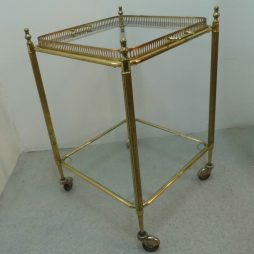 It measures 40 cm by 40 cm by 60 cm high. 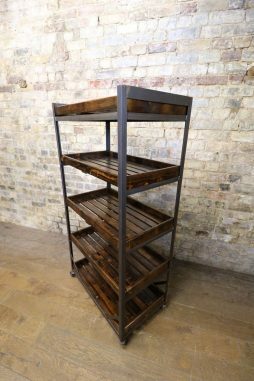 This gorgeous polished pine and iron Bread Trolley dates back to the 1920s, where it was used to showcase and deliver some of the finest produce in local markets. 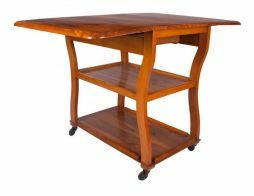 It has been fully restored to the beautiful condition seen in these photos, and we have a number in stock. 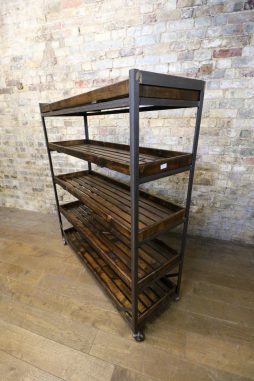 We have this is a range of sizes – contact us for more information.